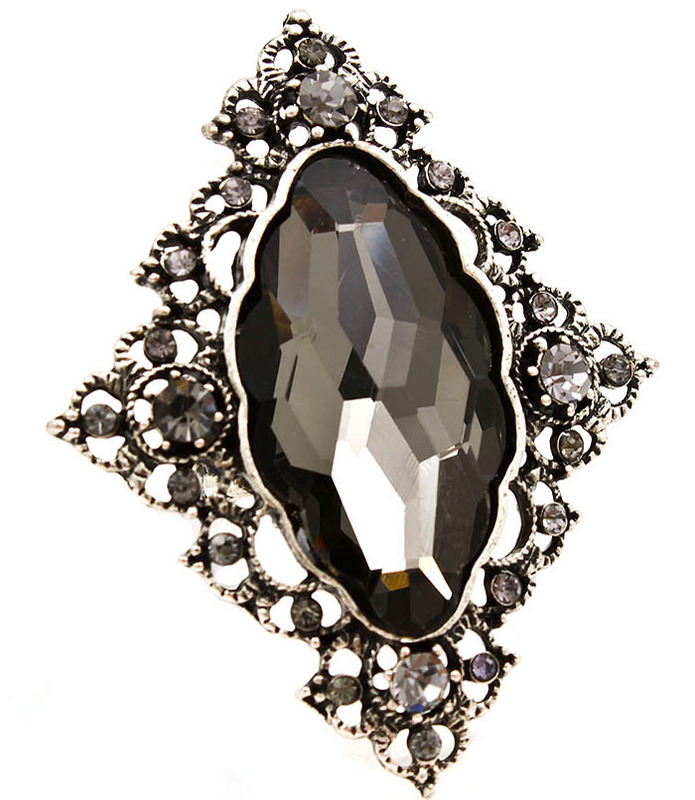 Highlight your fashion-consciousness wearing this noble and trendy ring. The accessory is made in the shape of a rhombus with a faceted oval black formica stone in the center. Silver tone edges are adorned with tiny crystal studs. Accessorize multiple outfits when you shop for jewellery online with us here at Oz Bling.